Tony Rollo is a Nashville based Media Producer and Director with a formal education in Computer and Electronic Engineering Technology. Tony has a wide experience in the Entertainment Industry, computer networking, field engineering, print and digital media publishing, radio broadcasting and voice over performance. His work has be seen and heard in many professional arenas. He has over 20 years of professional Internet based web design and digital coding. Tony has two feature films to his credit to date including the acclaimed documentary “The Men Of The Silent Service” which has been called “the best submarine documentary ever made” by leaders in the United States Submarine Service. The GIFF declared this feature to be “of the highest quality” where he not only directed and produced the feature, created motion graphic animations, but also edited the feature as well as mastered and authored the DVD release. Tony’s film and video production experience includes music videos, medical presentations, educational films as well as original music scores for broadcast television. He possesses a strong point in cinematography lighting in film/video production. 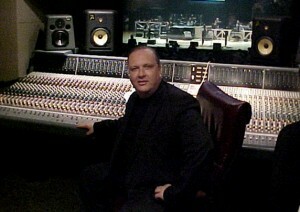 With a formal education in Computer Technology and a background in Field Engineering, Tony has worked in the Entertainment Industry with major recording studios and professional productions on and off stage. He has experience and training in digital as well as analog recording arts, photography, graphic design and film production. Tony was invited at 16 years old to join the International Thespian Society and spent his early years in professional touring theaters. This was his solid foundation in successfully combining technology with the performing arts. Tony’s voice performance in voice over work is heard internationally. He delivers voice over excellence from our in-house Neumann/Focusrite based voice facility. Tony’s greatest talent and pleasure is in editing film/video and audio editing and mastering.